Everyone has heard about Peppa Pig but maybe not everyone is aware of the phenomenon that is Ben and Holly’s Little Kingdom. 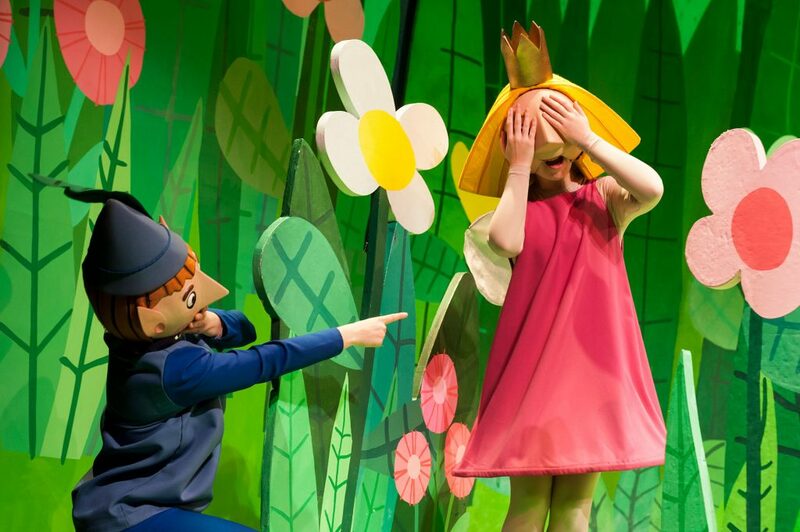 From the companies that animate Peppa Pig, Entertainment One and Astley Baker Davies, and creators Neville Astley and Mark Baker, Ben and Holly’s Little Kingdom is about engaging with life and not allowing any problem, big or small, stifle your enthusiasm for life. Co-creator Neville Astley has stated that “another starting point was that we wanted to make a series that was equally for boys and girls”. Astley also states that “we knew this would be a challenge but that’s what made it interesting. This is why the series is Ben and Holly’s Little Kingdom rather than say ‘Holly’s Little Kingdom’. “We try to make an equal number of Elf adventures (I suppose more appealing to boys) and Fairy adventures (which are a natural for girls).” In fact, Ben and Holly’s Little Kingdom has a more universal appeal. The show is created with an all-inclusive factor that sees viewers of all ages caring about the same characters as they undergo the same tensions, and laughing at the same moments. The delicate balance between a childlike, genial view of the world and an adult’s magical fantasy takes nothing away from the innocent wilderment, charm, and oddness the Little Kingdom provides. A great example of how Ben and Holly’s Little Kingdom has a universal appeal can easily be linked to one of their adverts, created with the same style as Game of Thrones. British film composer Julian Nott produces the music for the show. He is mostly known for his work in Peppa Pig cartoons and Wallace and Gromit films. Ben and Holly’s Little Kingdom has a timelessly wistful and cartoonishly fussy theme song. The music in each episode is just as fanciful and also produced by Nott. Mark Baker says that although they can sometimes reuse bits of music, that’s not often the case. Nott regularly visits the studio to view the episodes with both the editor and the directors, then going away and composing music for each episode. This can sometimes include special, new pieces. One of the running jokes in the show has a connection to the Thunderbirds. The 1960s TV series’ International Rescue is parodied through Elf Rescue. The Little Kingdom even has similar rocket-powered rescue vehicles and strident accompanying music. And did you know that the voice actor of the Wise Old Elf, David Graham, was also Parker the chauffeur in the series Thunderbirds?